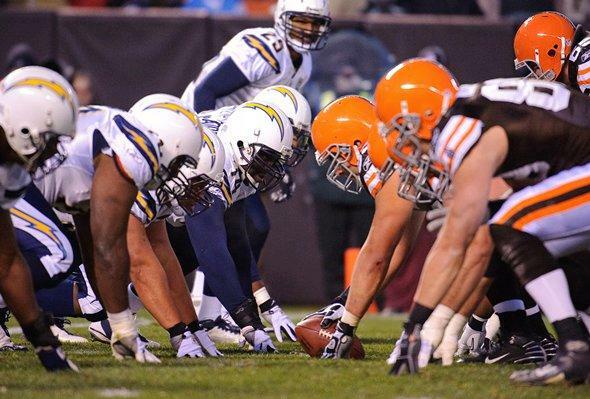 The Cleveland Browns and San Diego Chargers both come into today’s game at Cleveland Browns Stadium off of disappointing losses. The Browns dropped a winnable game against Indianapolis on the road, the franchise’s 11th consecutive loss away from home, while the Chargers went into their bye week after giving up 35 consecutive points in the second half of a loss to Denver. Sunday’s game also marks the return of the brown jerseys, as Cleveland will drop the all-white look for the final five home games of the season. Will that turn out to be the highlight of the day? Full preview starts … now at The Cleveland Fan.